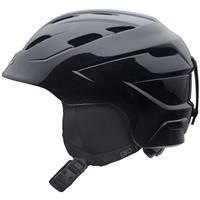 The women's Decade sets the standard for style and performance in a value-packed helmet. Giro's In Form fit system delivers the best fit on earth, and we've replaced those pesky, easy-to-lose vent plugs with an ingenious Weather strip vent shield. Finely tuned women's-specific finishing throughout takes the Decade's bar a notch higher.